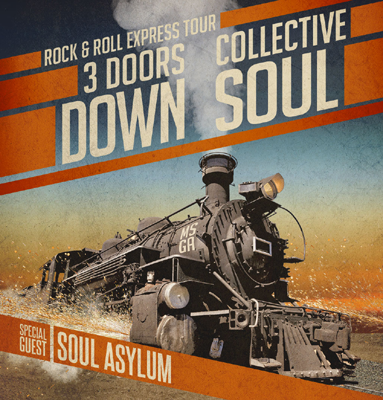 The Rock & Roll Express Tour with 3 Doors Down and Collective Soul will play Greensboro's White Oak Amphitheatre Greensboro on August 22. "It's going to be an exciting summer! Not only are we going to be out with a great band, but also some great friends. I look forward to seeing everyone come out and rock with us, 3 Doors Down, and Soul Asylum,” said Ed Roland of Collective Soul.